Ringed: European Robin 5, Common Blackbird 3, Fieldfare 1, Song Thrush 3, Redwing 1, Common Starling 13, House Sparrow 1, Common Linnet 2 and Yellowhammer 1. Total = 30. Ringed: Wood Pigeon 2, Winter Wren 1, Dunnock 1, European Robin 1, Fieldfare 1, Common Starling 1, House Sparrow 1, Chaffinch 2, Greenfinch 5, Common Linnet 1 and Yellowhammer 2. Total = 18. 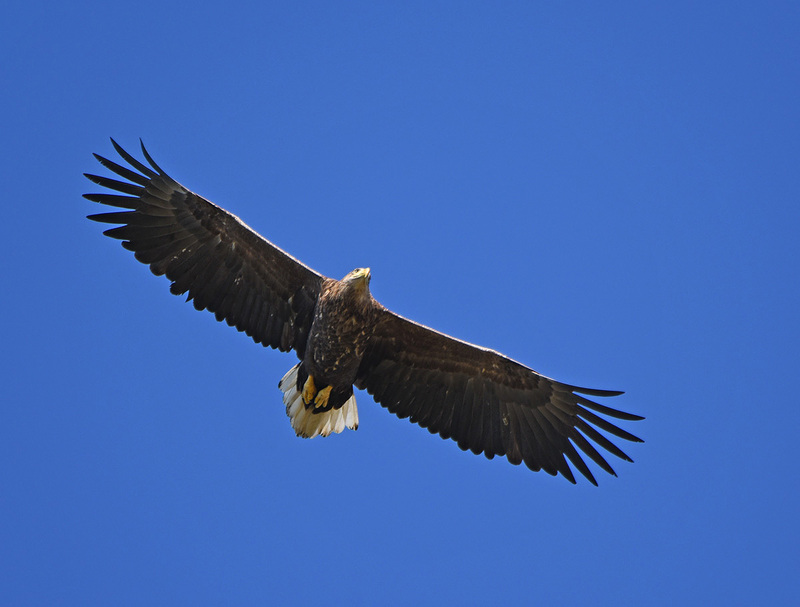 Adult White-tailed Eagle soaring low over Revtangen BO on April 14th. Ringed: European Robin 4, Common Blackbird 4, Redwing 2, Goldcrest 3, Common Starling 1, House Sparrow 5, Tree Sparrow 3, Chaffinch 1, Brambling 1, Greenfinch 6. Total = 30. Common Blackbird 8, Mistle Thrush 1, Goldcrest 4, House Sparrow 2, Tree Sparrow 1, Chaffinch 1, Yellowhammer 3. Total = 20. 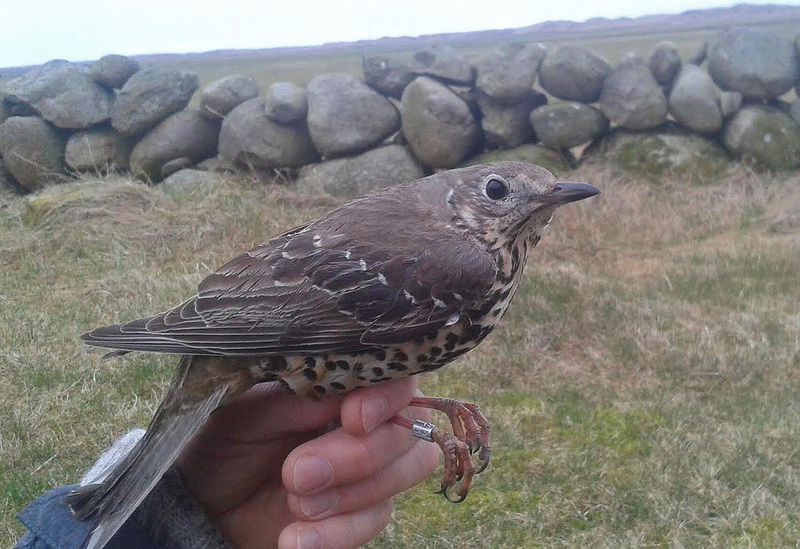 Mistle Thrush is a rare catch at Revtangen BO, this one was the 8th ever ringed at the BO.